Improve the SEO of your PrestaShop with the help of professionals and will be able to appear among the first results on Google. Improve the SEO is one of the objectives shared by the majority of people that has a website. Occupy the top positions in the pages of Google results is a great advantage over your competitors, already users when performing your searches will arrive first to your site and, if you know that advantage, chances that you choose yourself. 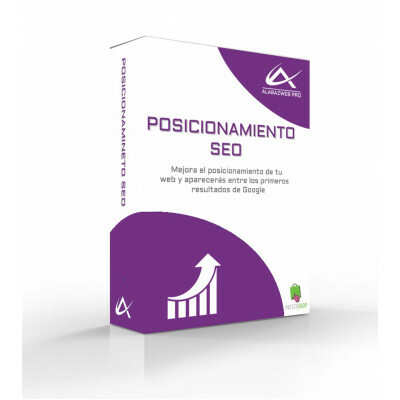 What factors influence positioning SEO? The authority: It is the factor that has a search engine more into account. It is defined as the popularity of a website. If it is more popular, more valuable information will be and the more sharing of information, best results. Relevance: It is the relationship that having a web page with the search that was conducted. It does not consist of having dozens of times the search term, in fact this is penalized, if which are not taken into account hundreds of factors to determine the importance of the site. Although Google regularly changes its algorithm, we can divide the elements that affect the organic positioning of two groups: internal and external. Content: It is the most important factor. Before writing any information it is recommended to carry out a study of keywords (keyword research) for the terms to be included. To position a content it must be own and interest. In this way Google will place it at the top. The web architecture: Help Google to crawl our site thanks to a good structure will make us reward with best positions in the SERPs (Search Engine Results Pages or search engine results pages). Also helps SEO web usability and reduce load times. The html code: When the search engines to your site mainly read your HTML code, so it is essential that it is structured and optimized, and containing the basic tags: title, metradescripcion, h1, h2, etc. Improve your brand image and visibility. It reduces the loading time of your website to be better optimized. As you can see to appear in search engines, results, initial pages though it is a laborious task, it will bring many side benefits that will differentiate your website from the competition and help you highlight. Get in touch with us and we will begin to work longer so that you start to notice the difference.